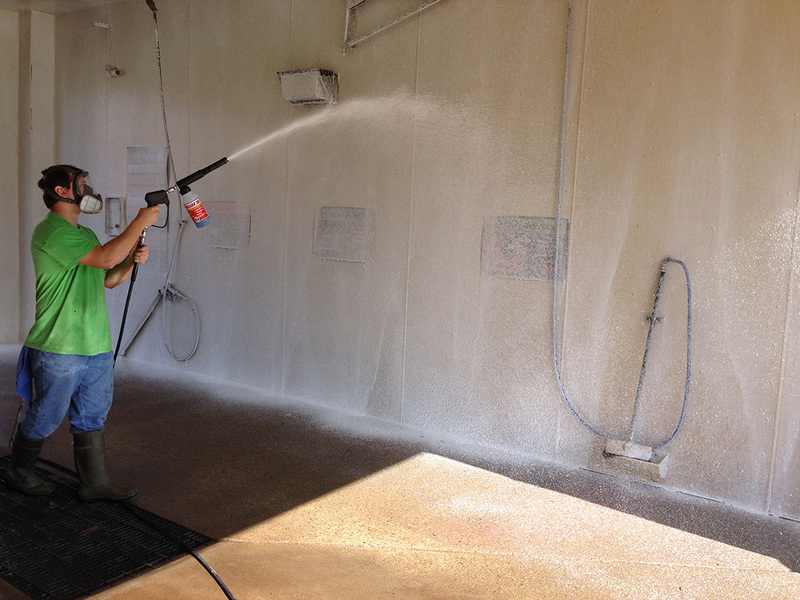 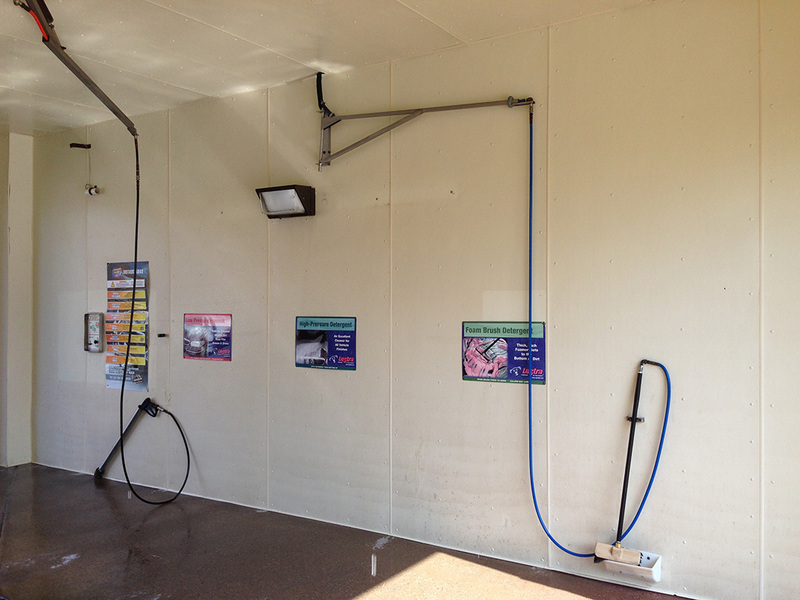 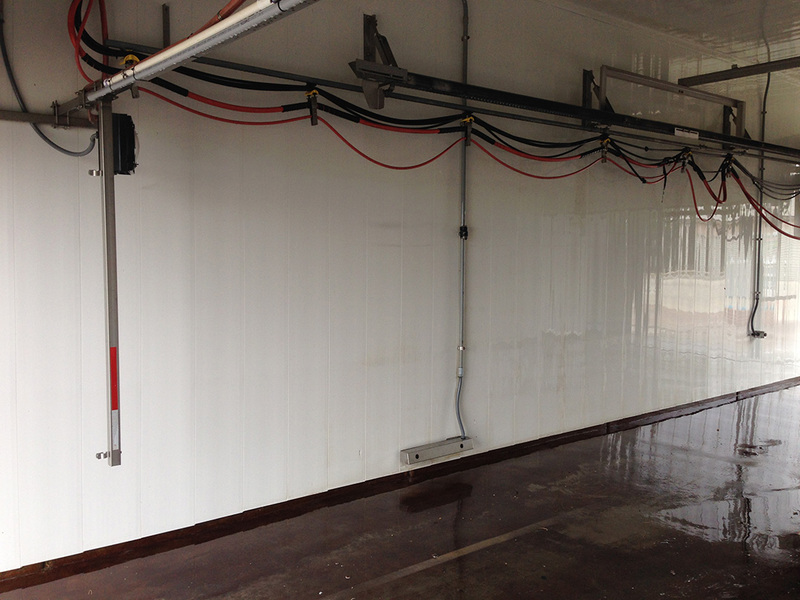 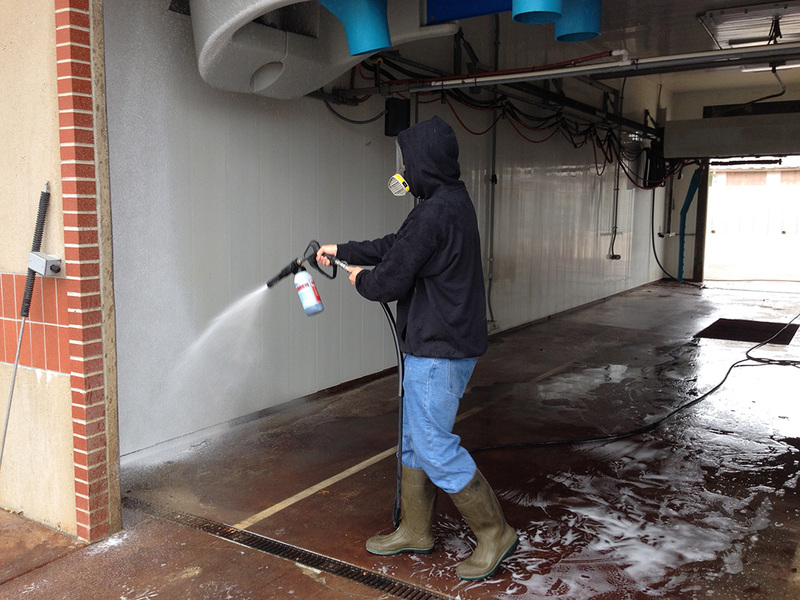 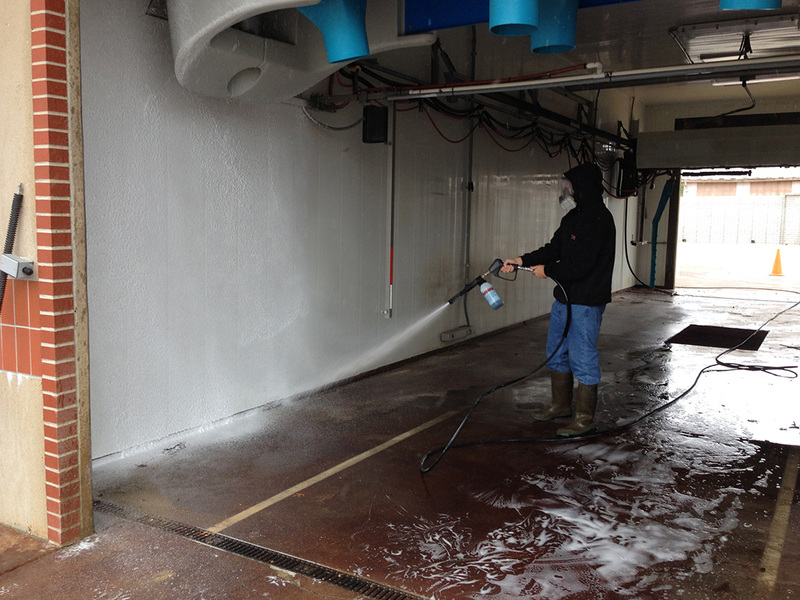 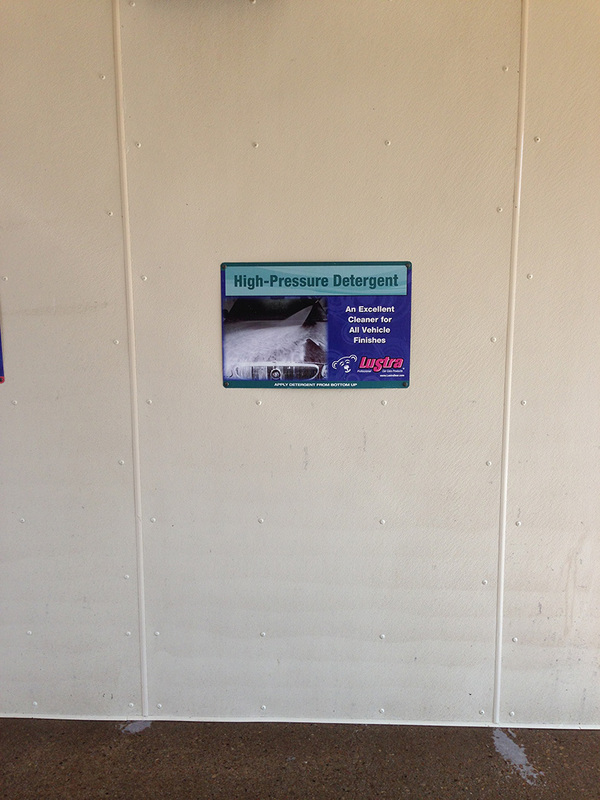 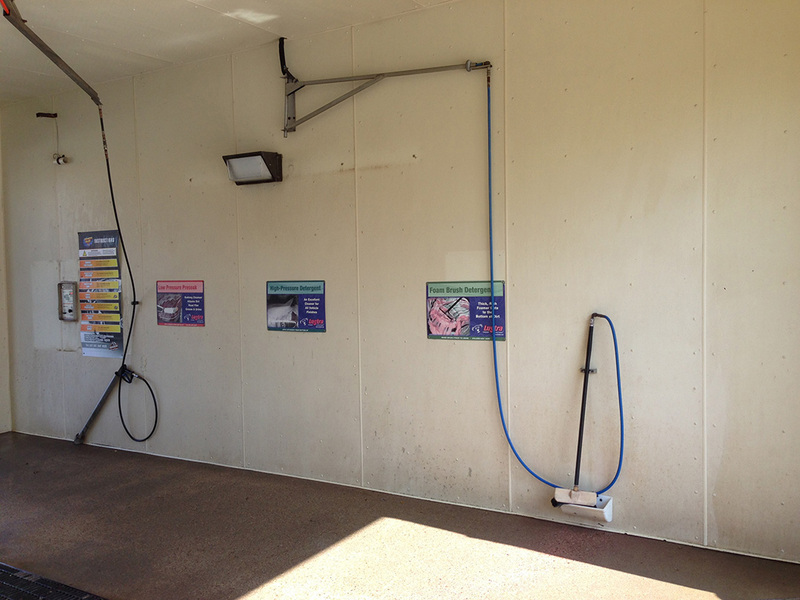 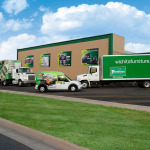 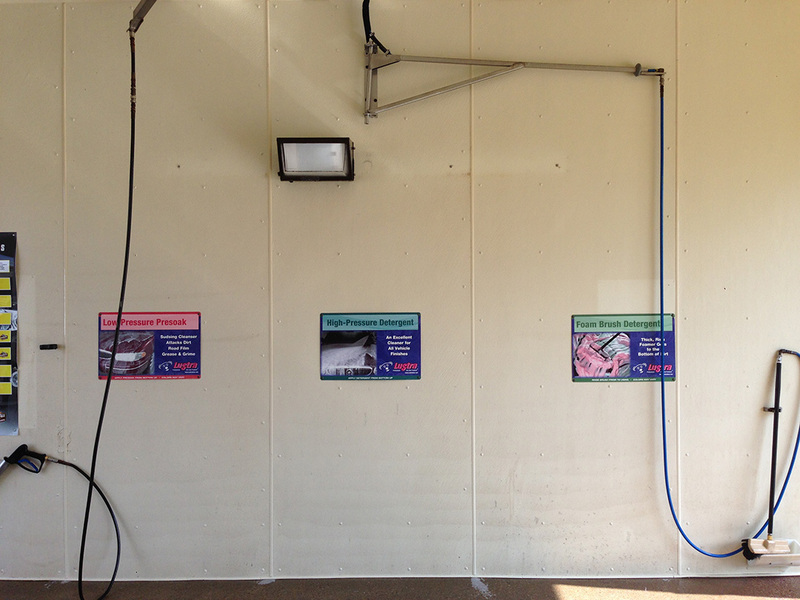 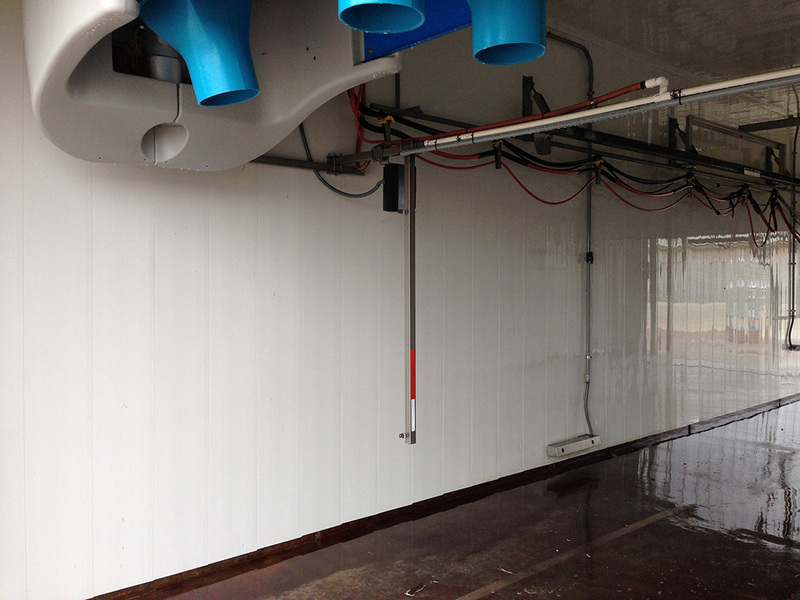 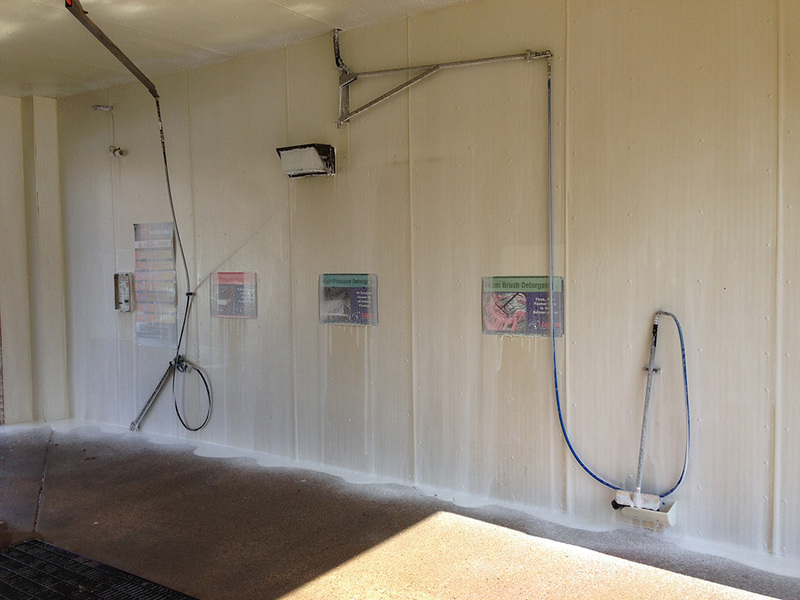 Self-service car washes accumulate years of built up dirt, grease and other contaminants washed off of vehicles. 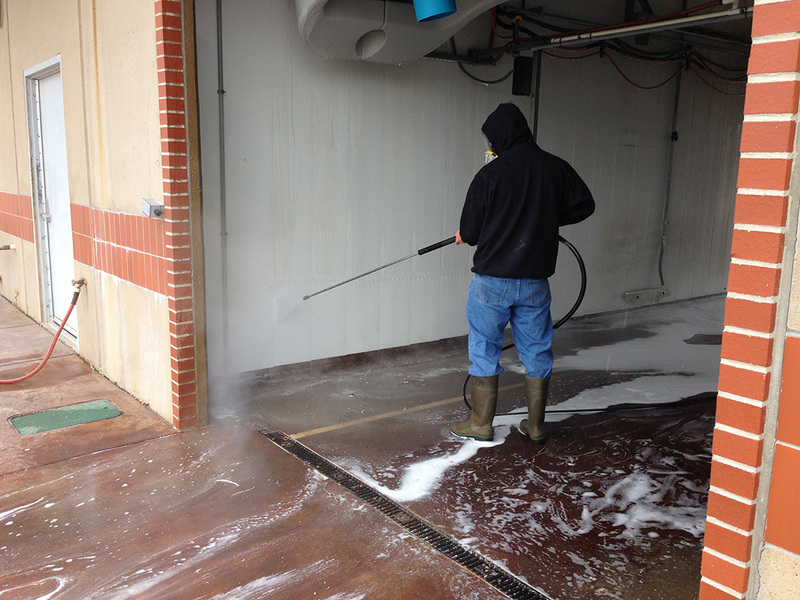 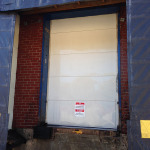 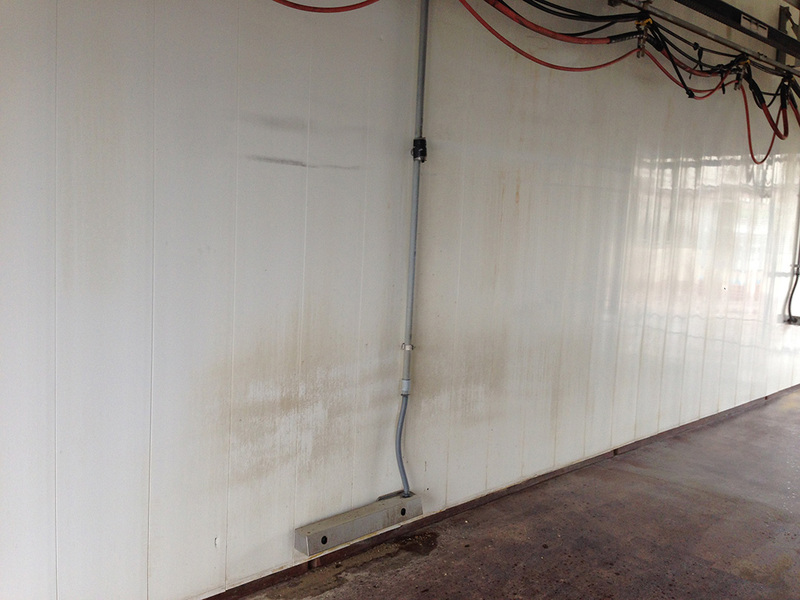 These walls were also coated in soap scum, which is difficult to remove because of its high pH. 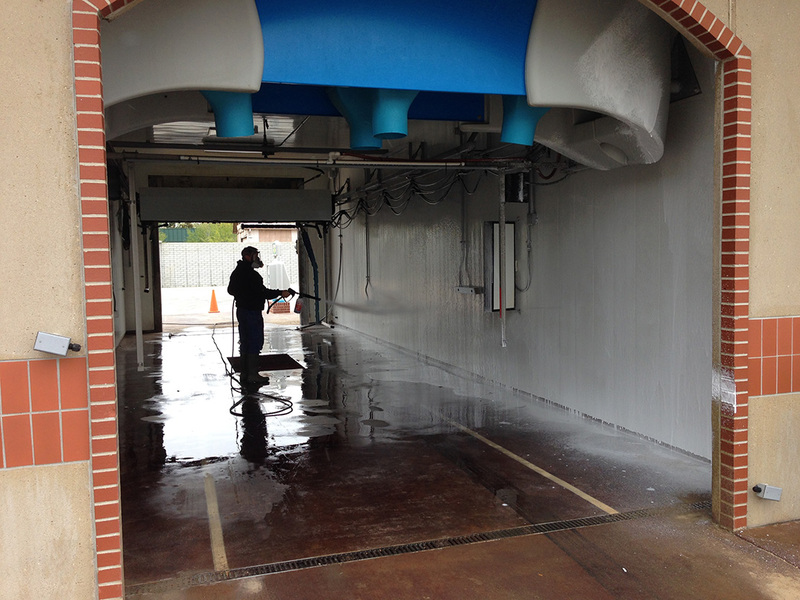 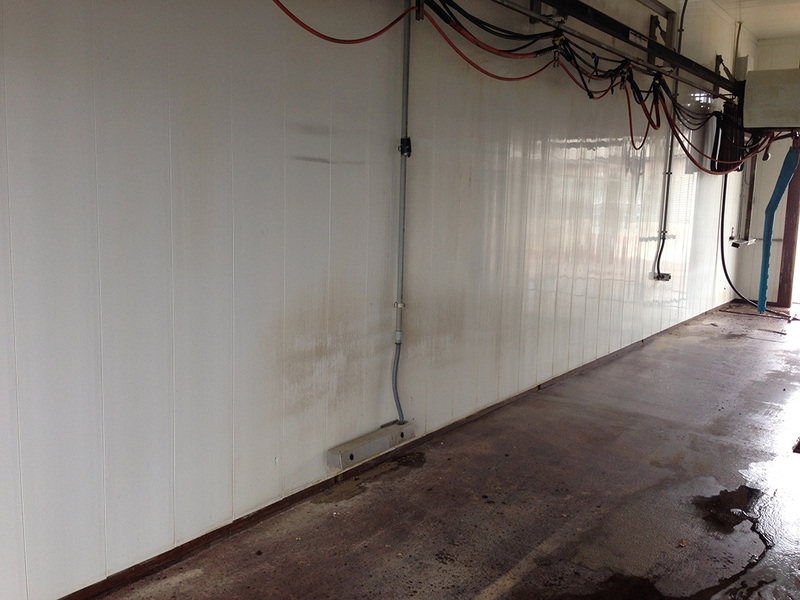 After pressure washing with a low pH solvent, the light-colored walls looked clean and like new again.